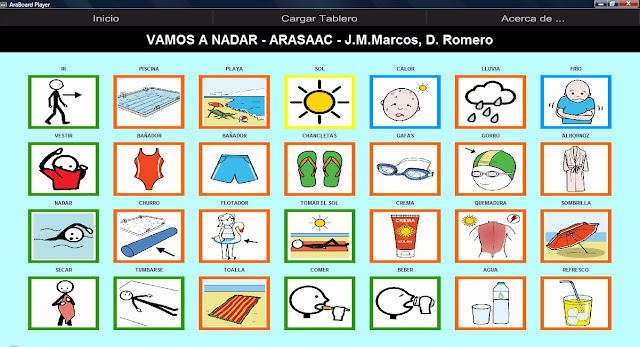 - Araboard Constructor: used for the creation and edition of boards of communication with the collection of ARASAAC's pictograms and any other image and audio stored in the device. - AraBoard Player: used to execute the boards of communication previously created in Araboard Constructor. AraBoard is characterized by its simplicity of use in all aspects, as it has a graphic interface designed to allow any person to create and edit boards intuitively and in a few minutes. With AraBoard we can create boards from one to thirty-two boxes, in any possible combination: 1 row x 2 columns, 2 rows x 2 columns, 3 rows x 4 columns, ..., 4 rows x 8 columns. 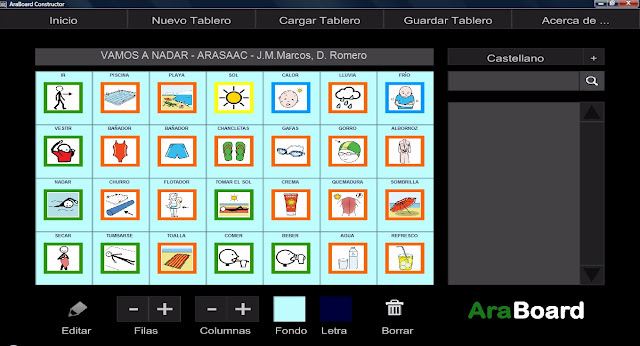 This feature also turns the tool into a possible alternative for people with motor disabilities and very basic communicative needs. 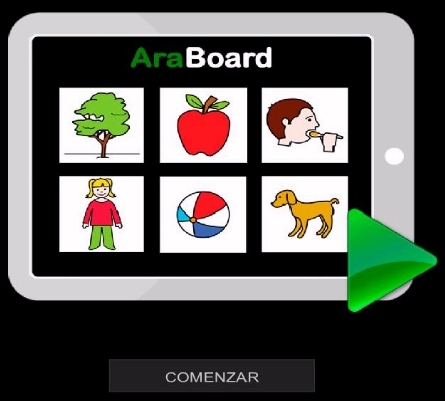 One of the main features of AraBoard is the direct communication through Internet, using an API developed for that purpose, with the server of the Aragonese Portal of Augmentative and Alternative Communication ARASAAC. 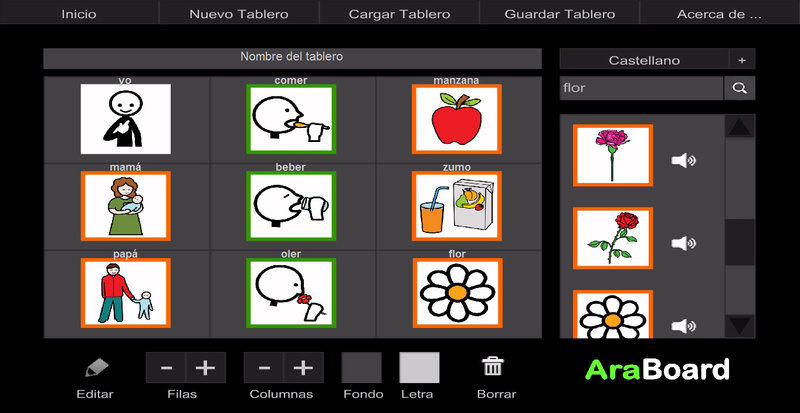 This communication allows the search of any pictogram found in the database and its direct download, together with its corresponding spoken phrase. Once the board is finished, that connection is longer needed, as all the information (pictograms and spoken phrases) are stored in the computer or in the device.